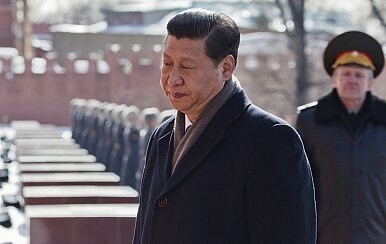 In China’s most sweeping military reshuffle since the 1950s, Xi Jinping is creating an army that is loyal only to him. In the most sweeping military reshuffle since the 1950s, Central Military Commission Chairman Xi Jinping is creating an army that is loyal to no one but himself. In the old structure, the four general departments — the General Staff Department (GSD), General Political Department (GPD), General Logistics Department (GLD), and General Armament Department (GAD) — were the most powerful organizations. GSD and GPD were particularly important; GSD was the executive organization of the military and GPD controlled personnel issues. For many years, two former CMC vice chairmen, Guo Boxiong (now under investigation for corruption) and Xu Caihou (who was expelled from the party for corruption), controlled these two organizations. By downgrading these general departments, the CMC will have more power over military issues. In the new structure, these four general departments have been renamed and become four of 15 “functional departments” directly under the leadership of the Central Military Commission (CMC). In the new lineup, the CMC General Office is ranked first, followed by the four renamed departments (the CMC Joint Staff Department, the CMC Political Work Department, the CMC Logistic Support Department, and the CMC Equipment Development Department). These organs are followed by two new departments (the CMC Training and Administration Department and the CMC National Defense Mobilization Department), making a total of seven departments. It is significant that the CMC General Office is placed ahead of the four general departments. It is likely that the CMC chairman will control the military through the General Office and that the head of the General Office will likely become a member of the CMC. In the same structure, three commissions have been created. The military’s disciplinary inspection organ, which used to work under the GPD, has been upgraded into an independent organization with the same rank as the former GPD: the CMC Discipline Inspection Commission. The CMC Politics and Law Commission has been created anew. The final commission, the CMC Science and Technology Commission, however, is not entirely new. The Commission of Science, Technology, and Industry for National Defense (CSTIND) was established on May 10, 1982 by merging three relevant institutions. This commission was replaced by two organizations in the government restructuring in 1998: one was the GAD and one was the CSTIND of the PRC under the State Council. On March 15, 2008, the 11th National People’s Congress decided to abolish the CSTIND of the PRC. In the same rank, there are five new organs directly under the leadership of the CMC. They are the CMC Office for Strategic Planning, the CMC Office for Reform and Organizational Structure, the CMC Office for International Military Cooperation, the CMC Audit Office, and the CMC Agency for Offices Administration. If heads of these functional departments are all members of the newly structured CMC, along with the commanders of three new military institutions (the general command of the Chinese People’s Liberation Army (PLA) Army, PLA Rocket Force, and PLA Strategic Support Force) and those of the PLA Navy and PLA Air Force, the membership of the CMC would be more than doubled, from 10 currently to 23. As Xi is the architect of this reorganization, no doubt the new commanders will all be personally loyal to him. Through the restructuring, Xi is effectively creating an army of his own.